She is Google’s top secret weapon, charged with guarding the world’s most valuable brand. Parisa Tabriz is the company’s ace up the sleeve – a young professional hacker they call their “Security Princess”. As a white-hat hacker, the Polish-Iranian-American is paid to attack her own employer so the “bad guys”, known as the black hats, do not get there first. 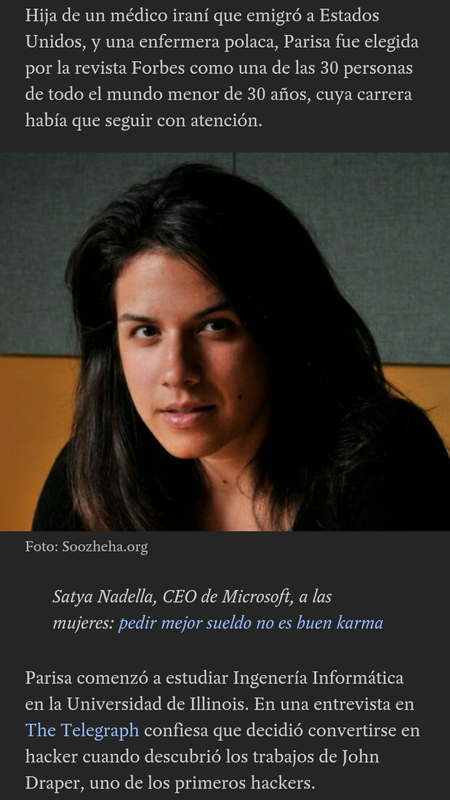 Her and her team’s task is to protect the nearly one billion users of Google Chrome – the most-used Internet browser on the planet. Miss Tabriz, 31, is something of an anomaly in Silicon Valley. Not only is she a woman – a gender hugely under-represented in the booming tech industry – but she is a boss heading up a mostly male team of 30 experts in the US and Europe. 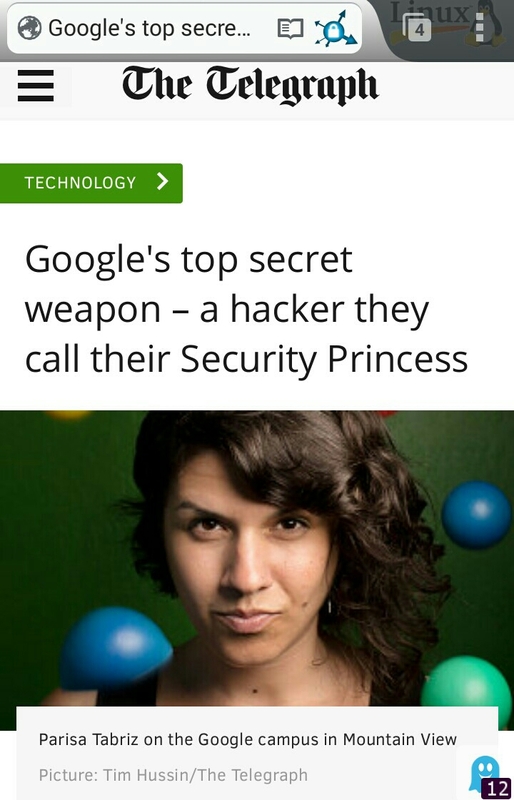 As such she has the power to choose her own title – and “Security Princess” is on her business card. She came up with it while attending a conference in Tokyo: “I knew I’d have to hand out my card and I thought Information Security Engineer sounded so boring. Guys in the industry all take it so seriously, so security princess felt suitably whimsica pictures. 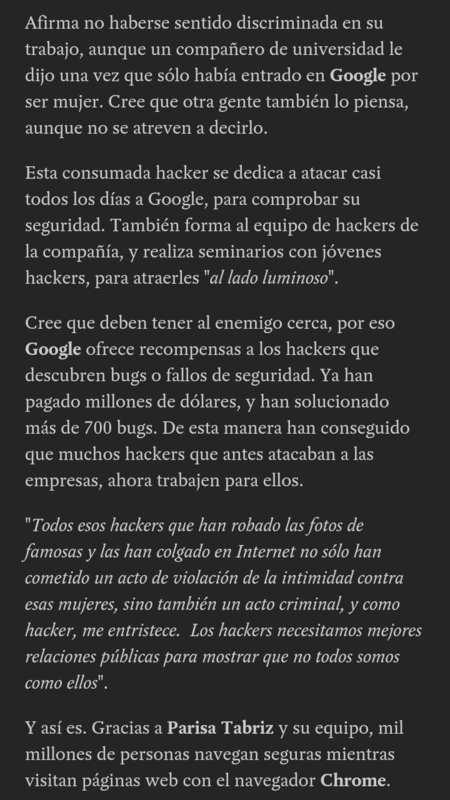 Sus propios colegas la han bautizado con el apodo de Princesa de la Seguridad de Google ….